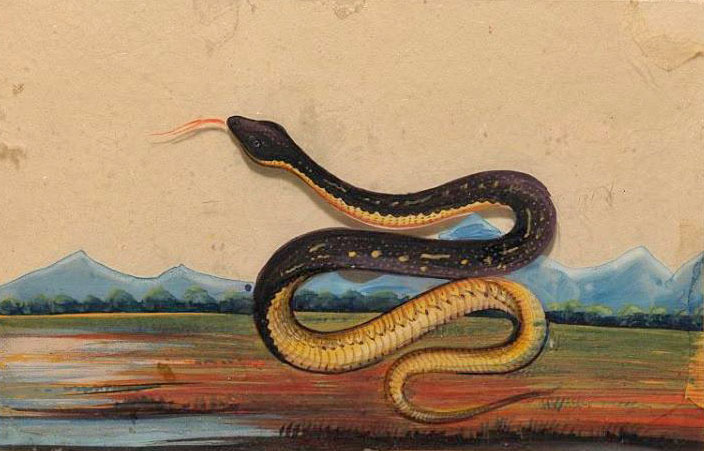 In Tamil, the snake’s name is sara paambu. This entry was posted in Uncategorized and tagged 19th Century, Animals, Art, India, Optical Illusions, Painting, Snakes, Tamil. Bookmark the permalink.